On Sunday May 5th the post minimum skills skaters here at Newcastle Roller Girls were treated to a very special coaching session from none other than the Men’s European Roller Derby Championships 2012 Best Jammer and Southern Discomfort super star, Reaper! Reaper is heading to The Big O in Oregon across the Atlantic with the rest of Southern Discomfort and was coaching us and Tyne & Fear to raise some cash, and NRG managed to donate a total of £175 for his trip. Please come back soon, Reaper! 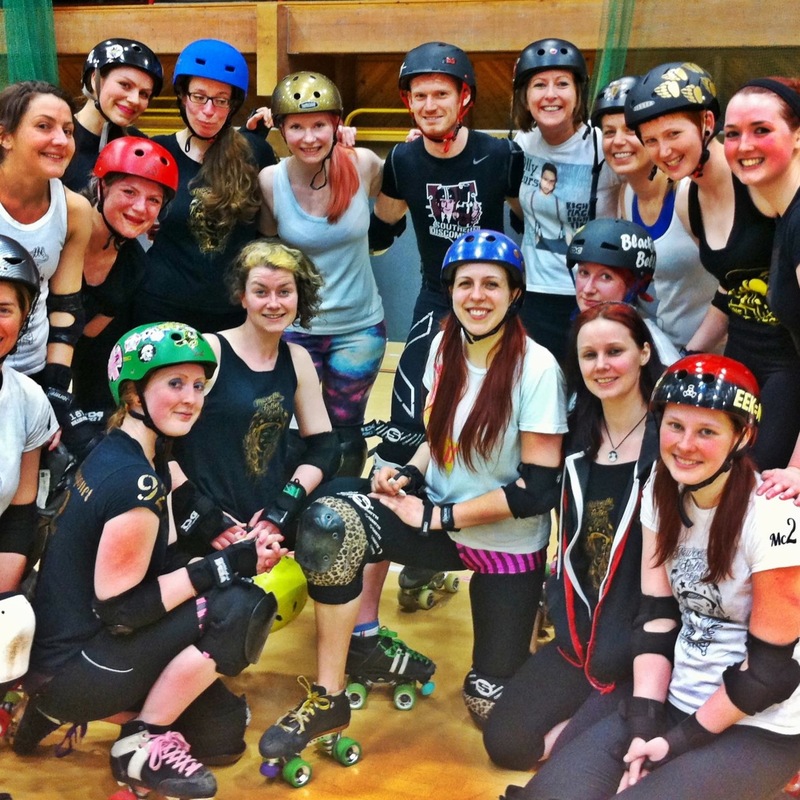 Previous PostBelters play and win first international bouts… back to back!Next PostNew fresh meat intake 30/06/2013!